Tents, Tables, Chairs and More!! You throw the party... We gotcha covered! Thanks for visiting our website. 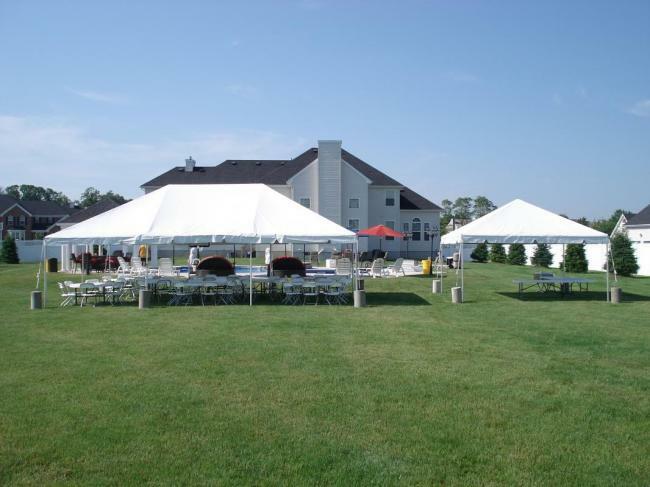 Located in Jackson, NJ we are a full delivery rental service supplying your outdoor event needs with frame tents, tables, chairs and more!! We are here to service your rental needs from graduation parties, weddings, birthdays, communions, surprise parties and more. We also service corporate events. From providing guidance with your party rental needs, to ensuring that your event goes as planned we are here to service you. Our goal is to provide you with a superior level of service that can’t be beat! All setups are always completed with an owner/operator on-site during setup and take down to ensure proper installation. Don’t forget to visit our party package page for special savings and our products page to view the latest rental equipment. If you have any questions regarding your upcoming party plans, feel free to contact us.